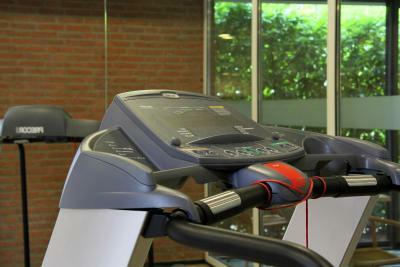 Lock in a great price for Bastion Hotel Apeldoorn Het Loo – rated 8 by recent guests! A large room with very comfortable beds and a spacious bathroom, with bathtub ad shower. 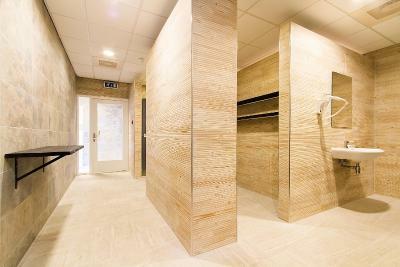 Located near de Apenheul, Palace the Loo and the city center. Everything one needs for a relaxing weekend break. The staff members were wonderfully helpful. Remi Hendriks went out of his way to provide accommodations at the best possible price and to help us with the internet connection. He was very kind to us, as was the woman at the front desk when we arrived (we don't know her name). Thank you for hiring such great people to care for travelers. This is one of the best hotels we have stayed at. THe staff are wonderful, the room large and comfortable. The breakfast is a bit pricey but the variety and quality make up for it. The location is perfect for visiting Loo Palace and a bus stops right outside for going into the city centre, just a short ride away. Breakfast left much to be desired, staff handled bread and rolls by hand Fruit basket once empty not refilled, muesli no natural muesli but two containers of sugar rich muesli, it was the Easter weekend and very busy perhaps management got caught by surprise, took action ones made aware. We would stay there again, as location is excellent. One of our top picks in Apeldoorn.The modern Bastion Hotel Apeldoorn Het Loo has a great and royal history, only 500 feet from the gardens of the Royal Palace Het Loo. Sanadome Nijmegen is located at a distance of 35 mi from the property. Bastion Hotel Apeldoorn Het Loo hotel offers a 24-hour front office, comfortable rooms and an extensive choice of dishes from the à la carte menu in the hotel's restaurant. 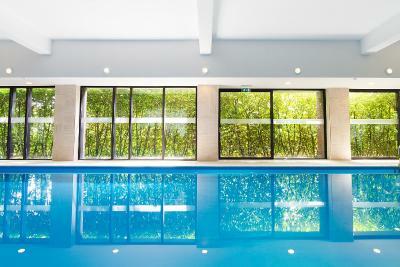 There is also an indoor swimming pool and a health club. Guests are always welcome in the cozy hotel bar or lounge of the Bastion Hotel Apeldoorn Het Loo. The lounge features LCD TV, air conditioning and relaxing lounge chairs. The hotel also offers free WiFi in the entire hotel. In the lobby, there is a computer with internet access, at the guests disposal free of charge. The nearby Hoge Veluwe National Park offers some of the best walking, cycling and picnic opportunities in the country. When would you like to stay at Bastion Hotel Apeldoorn Het Loo? Please note that this room is suitable for not more than 2 people. This room has a sofa bed for 2 children or 1 adult. Located on the ground floor, this room features a bathroom including a walk-in shower. Bastion Hotels represents comfort, hospitality and a personal service. The homey atmosphere at Bastion Hotels makes our guests feel at home. Our hotels are conveniently located along mayor highways, at a short distance from the city centre. Parking is available during your stay at all locations, in the hotels’ own parking lot. Because our guests’ preferences are of the utmost importance to us, free highspeed WIFI is offered at any of our hotels. 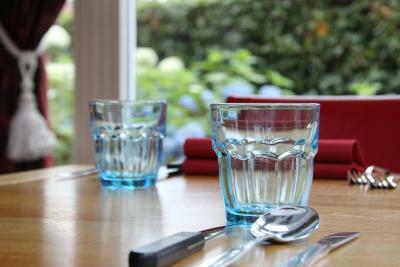 We’re ready to serve you a delicious breakfast, lunch and/or dinner in our hotel restaurant. Did you know we cook fresh eggs to order for our guests? Bastion Hotels currently offers 32 hotels, opening up a 33rd location in Waalre soon. Our existing hotels are constantly being renewed, offering you a brand new interior and a luxury bathroom equipped with a walk-in shower. “Eat well, sleep well” is our motto. We hope to welcome you soon at Bastion Hotels! House Rules Bastion Hotel Apeldoorn Het Loo takes special requests – add in the next step! ATM card Bastion Hotel Apeldoorn Het Loo accepts these cards and reserves the right to temporarily hold an amount prior to arrival. Bastion Hotel Apeldoorn Het Loo accepts these cards and reserves the right to temporarily hold an amount prior to arrival. Please note that extra charges are applicable when you book more than 9 rooms. Bastion Hotels will contact you to discuss the reservation conditions. You can contact the Bastion Hotels if you have any questions regarding your reservation. Guests can make use of the parking facilities without any extra costs during their stay. These facilities are subject to availability. Cleaning staff did not clean room satisfactorily or have any idea how to make up a bed. Due to rennovations, it was not really clean. Not enough staff, the people from the reception were also the waiters. So at times, the reception was empty and a long wait in the bar. The only thing I didn't like was the temperature of the swimming pool, too cold to full enjoy it. 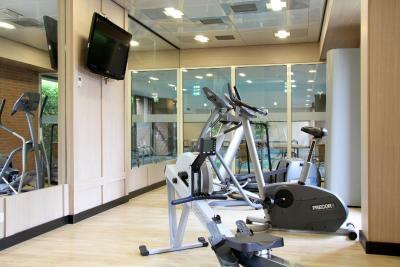 The hotel has very large rooms, comfortable beds, nice lounge, restaurant and bar. 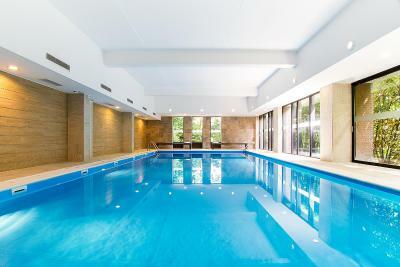 It has also a gym and a swimming pool. The personnel is kind and attentive. The location is optimal to visit many attractions around. There was a putrid smell coming from the drains in the bathroom. For the cost per night I would have expected more amenities such as shampoo, condition etc and better quality toilet paper. Great location. Staff were very friendly and accommodating. Parking was easy. Bedroom temperature was difficult to get right . Not the best beds we have had in hotels. The pebble stones at the entrance and in the parking lot. Simply impossible to roll suitcases, which literally need to be dragged through. The hairdryer: stuck on the wall at the right of the mirror with a very short wire, which, as a left hander, makes it impossible to dry your hair in a comfortable way. This might seem a minor problem, but when one spends as many nights in hotels a I do, it does become an issue. Heating in the room: both curtains are from ceiling to floor, in front of the central heating system, which means you need to open the curtains to let the heat warm up the room. Not extremely practical. Very friendly and helpful staff. Nicely furnished areas and good facilities. Would visit again! I can't think of anything bad. Great hotel. Excellent value. Not very clean! Dusty rooms with a lot of things/rubbish of previous guests under each bed. Specially with small children very unconvenient! Showerhead broken TV on a very stange location in the room. No suitable bedlinnen for the kids couch-bed (too small to fit the matras Made kids lay on matras directly :-( During 2 night stay no room make-up service after the first night! Anachronisms everywhere. A lost paper, an unused dividing plug in the stairway, a cobweb on a reading lamp. No big worries but not worthy a 4-star hotel. Think they need a leader and some more team spirit. Nice redesigned room. Friendly staff. Good location nearby Paleis Het Loo.